National dialogue, the Bishops: "We are ready to do our part"
Lusaka (Agenzia Fides) - After the denunciation of the African Union (see Fides 4/7/2018) and that of the bishops of Kenya (see Fides 7/7/2018), the President of the Episcopal Conference of Zambia (ZCCB), Mgr. George Lungu, bishop of Chipata, said that corruption continues to absorb the lives of the Zambesi fomented by ruthless and cunning professionals. During a Mass of the ZCCB, celebrated in recent days in Lusaka, Mgr. Lungu, described corruption as a virus and a hemorrhage that Zambia is facing. The bishop said that in order for Zambians to be healed, they must strengthen their faith in God. "As a member of the ZCCB, I also live this challenge. 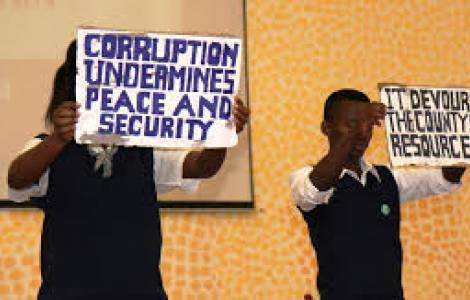 Corruption is a virus that swallows up everyone's life: doctors, lawyers, engineers, scientists. It is swallowing up the life of innocent citizens", reads the note sent to Fides. Mgr. Lungu also explained that, "due to the incidence of corruption, the country continues to deteriorate: patients who die at the hands of immoral doctors; buildings that collapse due to jackal engineers; money lost at the hands of incompetent economists and accountants. Humanity dies because of incompetent scholars and justice goes to the hands of unscrupulous judges", highlights the note.